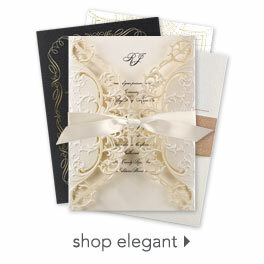 Real gold glitter envelope liners will add a truly sparkling touch to your invitation ensemble. Envelope liners may be personalized. Includes glue dots for securing inside your envelope. Liners fit envelopes measuring 5 1/8 x 7 1/4. Envelopes not included. Personalization Options: May be personalized in black in your choice of font. Assembly: Assembly will be required inside of the 5 1/8 x 7 1/4 envelope of your choice.